How do you earn your living now? How did you earn your living 5 years ago? How do you want to earn your living in the future? Certainly you may continue to pursue similar themes in your work. But sometimes it is important to continually improve your offering to customers. Let’s explore how to make this happen. Take a look at The Currency Curve. 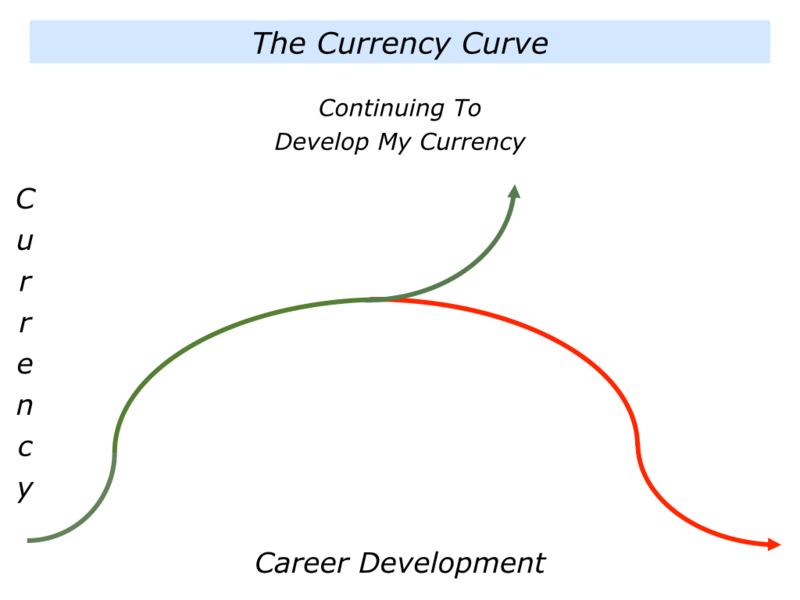 This plots your Currency, the way you earn your living now, with your Career Development. People can be at the top of a curve, but they may need to keep developing. Otherwise they will be doing the same things in three years time, but with less energy. Here are some questions you may want to consider. 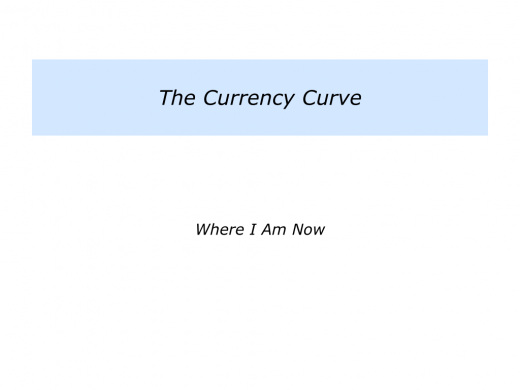 What is your present currency? How do you earn your living now? Where are you on the curve? How good are you at the activities you do? How attractive is your offering to customers? Are you still climbing the curve? Have you reached a plateau? If so, at what level have you done this? 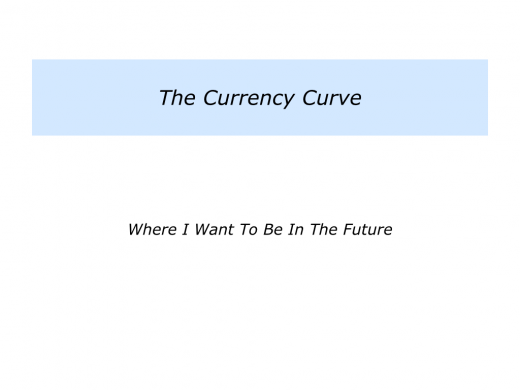 Are you going down the other side of the curve? 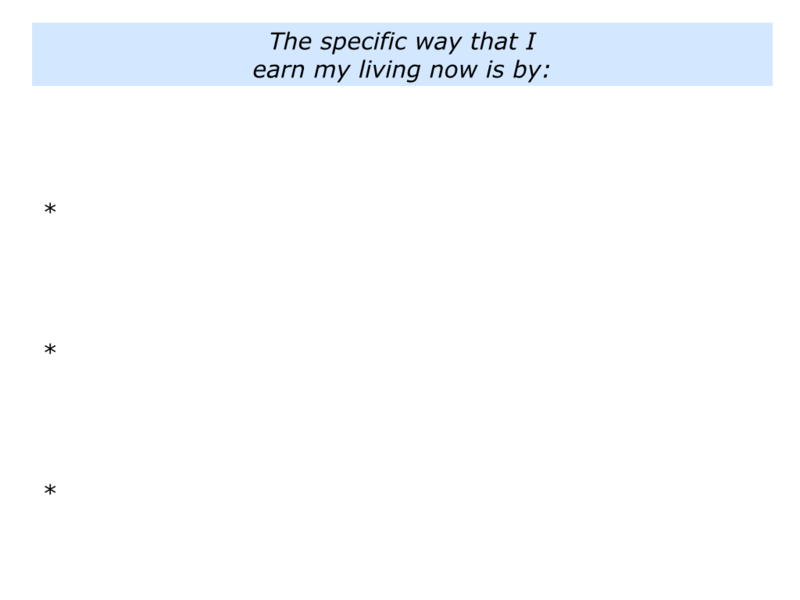 Describe the specific way you earn your living now. 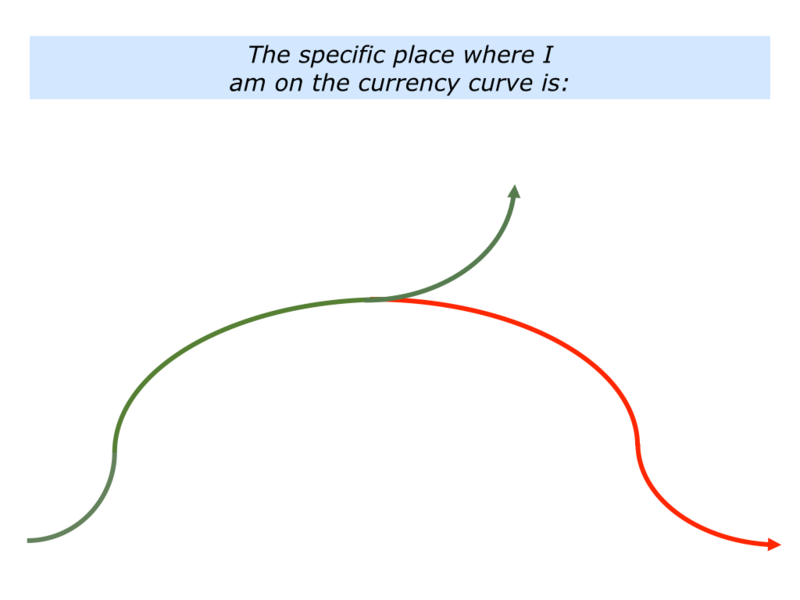 Describe the specific place where you are on the currency curve. People love to develop, but they do not always seize the opportunity. They may have great innate skills, but they do not see how they can express these in the future. They may be so busy, for example, that they do not set aside time to look ahead and shape their career. They may also become typecast. Mel was somebody who fell into the latter category. She was an extremely valuable Operations Director, but wanted to take the step up to become a Managing Director. She explained this in the following way. “My career plateaued during my 30s, even though I got well paid as a COO. “Leadership is about setting the ‘What’, whilst operations is about managing the ‘How’. People relied on me to keep the company running, but they doubted my ability to set the strategy. “I decided to change their perception. During my 20s I had built and sold two small companies, but few people knew about my history. “Instigating two key projects in the business, I demonstrated the vision required to lead pilots that contributed to the bottom line. People began to see me as a leader – rather than just as an implementer. “The MD’s role became vacant and they promoted me from within, rather than search outside for a candidate. Fortunately I proved to be successful in the role. Sages have a timeless quality. Building on eternal themes, they express these in ways that are relevant to today and tomorrow. To clarify your specific strengths – the deeply satisfying activities in which you deliver As, rather than Bs or Cs. 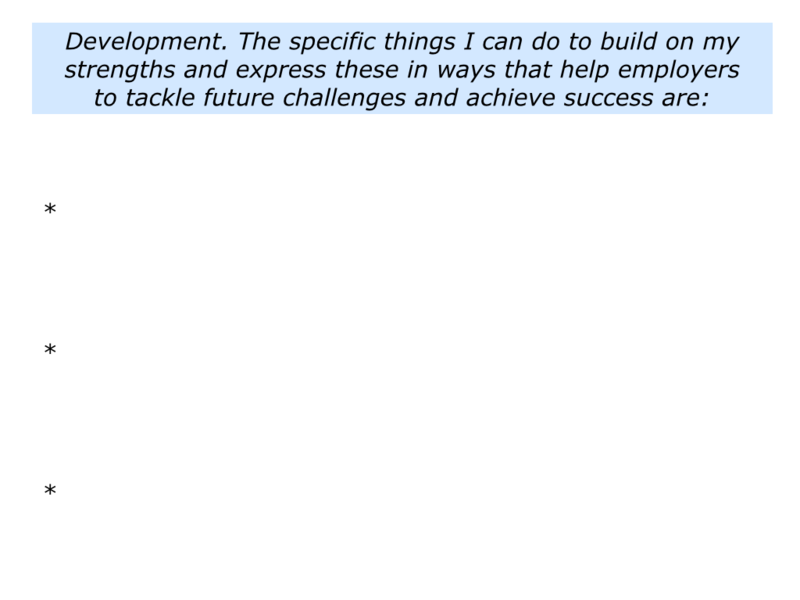 To clarify the specific challenges your potential employers may face in the next three years. 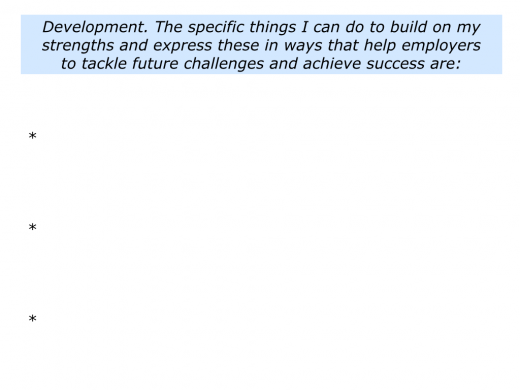 To clarify how you can build on your strengths and express these in ways that help potential employers to tackle these future challenges and achieve success. If you wish, try tackling the exercise on this theme. 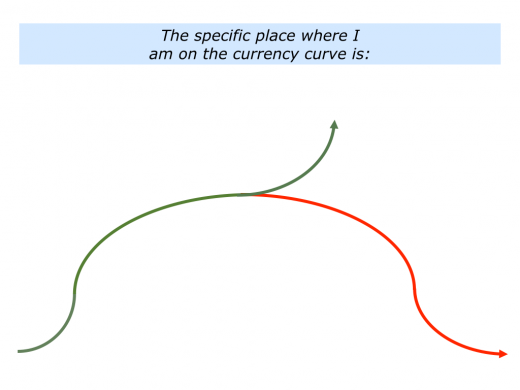 This invites you to describe how you can continue to develop your currency.